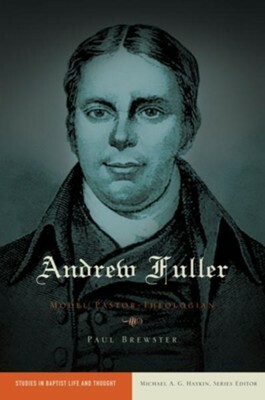 In his day, practicing English pastor Andrew Fuller (1754-1815) was also themost prominent Baptist theologian on either side of the Atlantic Ocean. He remained influential via his thoughtful writings up until the American CivilWar. Since then, however, the emphasis on theological and doctrinal depth in Baptist preaching (and preaching generally) has been in decline. Now scholars are looking back at Fuller to provide an example of howpastors can relate doctrine to practice. He was not content to contribute to theological debate in print only; he also showed how the theological conclusions he had arrived at could be applied to local church ministry. This pastoral biography of Andrew Fuller, the second in B&H PublishingGroup's Studies in Baptist Life & Thought series, introduces a new preachinggeneration to his theological method, his soteriology, and how Fullerintentionally moved from doctrine to practice among the church. In his day, practicing English pastor Andrew Fuller (1754-1815) was also the most prominent Baptist theologian on either side of the Atlantic Ocean. He remained influential via his thoughtful writings up until the American Civil War. Since then, however, the emphasis on theological and doctrinal depth in Baptist preaching (and preaching generally) has been in decline. Now scholars are looking back at Fuller to provide an example of how pastors can relate doctrine to practice. He was not content to contribute to theological debate in print only; he also showed how the theological conclusions he had arrived at could be applied to local church ministry. This pastoral biography of Andrew Fuller, the second in B&H Publishing Group’s Studies in Baptist Life & Thought series, introduces a new preaching generation to his theological method, his soteriology, and how Fuller intentionally moved from doctrine to practice among the church. Paul Brewster is pastor of Rykers Ridge Baptist Church in Madison, Indiana, and also writes for Baptist Press. He holds degrees from the University of Arkansas (B.A. ), New Orleans Baptist Theological Seminary (M.Div. ), and Southeastern Baptist Theological Seminary (Ph.D.). Brewster and his wife have four children. 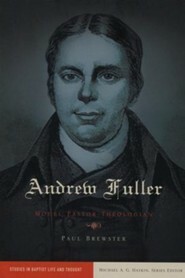 I'm the author/artist and I want to review Andrew Fuller: Model Pastor-Theologian - eBook.